2 What is Congenital and Acquired? 5.1.3 What can you do? 5.2.3 What can you do? 5.3.3 What can you do? 5.4.3 What can you do? 5.5.3 What can you do? The realisation that your child has a congenital or acquired disability can be a daunting and fearful situation. There are many support networks and resources available however which aim to help and assist parents and carers in the development of that child. Giving birth to a child with such disorders can happen to any mother regardless of age, racial or cultural heritage, socioeconomic status, health or lifestyle. According to the WHO, congenital anomalies or birth defects affect one in every 33 infants every year worldwide and result in approximately 3.2 million birth defect related disabilities every year. What is Congenital and Acquired? A congenital disorder is one which exists at birth and very often before birth. It also can include those conditions which develop within the first month of birth. Congenital disorders vary widely in causation and abnormalities and can be as a result of genetic or chromosomal abnormalities, infection, birth trauma or the environment the fetus was in whilst in the uterus. Acquired disorders on the other hand develop after birth and can develop over the course of one’s life. Understanding how a disorder affects a child’s future health, abilities and lifestyle requirements is very commonly a priority for parents very soon after the birth of that child. The aim of this wiki resource is to provide guidance and information to parents of children with congenital and acquired neuromuscular and genetic disorders. This resource is not designed to provide an exhaustive list of disorders as there are very many. It will include those disorders which are most commonly found in the UK in terms of rates of incidence. The authors aim to provide information in layman’s terms without clinical jargon. Identify support networks and relevant resources for congenital and acquired neurological disorders. Cerebral Palsy is a general term for chronic non-progressive neurological conditions that affect your childs ability to move and to maintain posture and balance . This is due to damage to the areas of the brain that control movement and co-ordination. This damage to the brain can occur before, during or after birth. A child with CP will find they are not able to control some muscles in their body in the normal way. It is estimated that 1 in 400 babies in the UK have a type of CP. Every case of cerebral palsy is unique to the individual this is due to the type and timing of injury to the developing brain. Usually appear before a child is 3 years old. Tetraplegic/quadriplegic – affects all 4 limbs and the torso. Likely to be some respiratory complications and difficulties eating. Spastic – abnormal control of voluntary limb muscles. Muscles are stiff and sometimes permanently contracted. Reflexes may be exaggerated. This is the most common form of CP occurring in 70-80% of people affected. Mixed - does not fit into one category may have different types of movement disorders at the same time. Minimal or mild CP – Little obvious physical impairment but children experience poor coordination and clumsiness. This can be associated with learning difficulties. CP is chronic but manageable. Management will largely depend on the severity of problems. Many people with CP lead independent lives and not everyone will require physiotherapy. If your child is diagnosed with Cerebral Palsy they will likely have a team of people looking after them which will include: Doctors, Nurses, Pharmacists, Occupational Therapists, Dieticians and Physiotherapists. Physiotherapists play a key role in supporting children and adults with CP. Physiotherapists’ main aims are to help a child be as mobile and independent as possible. They also help encourage parents and carers to be involved and are happy to give support and advice on managing problems associated with CP. Physiotherapy can help with stiffness or hypotonia, areas of inactivity, poor control of movement patterns, muscle shortening, contractures and prevention of musculoskeletal deformities. Physiotherapy treatment may involve stretches, strengthening exercises, facilitation of normal movement patterns, advice on postural management, and ways to clear secretions. Physiotherapists also give advice on aids and equipment which may be useful for sitting, standing, walking and getting children involved in everyday activities. The Physiotherapist will complete a physical assessment and may also ask questions about the pregnancy and birth and any other relevant information. Treatment is designed to focus on capabilities not limitations. Physiotherapists will create a specific program and set goals with you that are tailored to your child’s needs. Caring for anyone with CP can be overwhelming and difficult at times. Physical therapy can help the child to overcome or adapt to certain physical difficulties. This can help take some pressure of the parents/carers as the child becomes more independent. Some children benefit from a programme at nursery and school. Community physiotherapists can visit your child during school or nursery. This is important because physiotherapists play an important role in training teachers for managing children with CP. These are external devices which are often required to keep joints working properly in upper and lower limbs. They can help improve walking, decrease contracture and increase endurance. They also help to reduce trips or falls. They are made from a variety of materials with some very fashionable patterns now. They are generally slid or strapped on with Velcro. There are lots of different medications for CP which can help to reduce symptoms and help with any complications. Drug therapy is used to help control body movements, prevent seizures, relax muscles, and manage pain and many other associated problems. When choosing which drugs the Consultants or Doctors will consider the benefits and side effects. Doctors will discuss the medications with you answering any questions or concerns you may have. It is often a process of trial and error for which drug will work best because everyone is different. The medications will be regularly monitored. Surgery may be used to correct problems with bones and joints or muscles and tendons. This tends to be used if there is pain on moving. This can also help to improve the child’s confidence, posture and ability to cope with everyday life. After surgery an intensive course of physiotherapy will often be required. An example of a surgery used for children who suffer from severe stiffness in their legs is a SELECTIVE DORSAL RHIZOTOMY. This may only be used after other treatments have failed. It involves cutting some nerves in the spinal column which can help to reduce the stiffness experienced. Extensive physiotherapy will be needed after this type of operation. This will help the child to re-learn how to control their leg muscles. Educate yourself so you can help prepare you and your child for the future. Part of a physiotherapists job is to educate so don’t be scared to ask questions. Develop support systems, involve family if you can and seek out other parents with children who have CP. Resources are not always easy to find but can make a massive difference. Ask healthcare professionals and other parents or guardians what support and services they use. Try to involve your child in a wide variety of programmes to support their skills and social development. Whilst your child is important remember to take care of yourself. If you have a partner make time for them and work together raising your child. Be honest about how you feel, it is normal to feel angry, guilty, worried and scared. Ask for help when you need it. Keeping active is vitally important for children. Studies have shown that children with various disabling diseases and conditions still benefit from being active. Just because your child has CP doesn’t mean they can’t be active or get involved in sports and recreation programs. Encourage your child and let them try different activities until they find one they enjoy. Try to find solutions to the problems. Physiotherapists can give you advice and information about special classes or sports specifically for children with CP. This can help your child and you, they will meet other children similar to them and you can speak to parents who are going through similar situations. Cerebral Palsy Sport is the UKs leading national disability sports organisation supporting people with CP reach there sporting potential. CPTeens is the first website set up for young people with CP. Muscular Dystrophy (MD) is a group of inherited conditions that have a steady degenerative progression. It causes muscles to become weak over time. The muscle weakness begins in the legs most often. Some forms of this disease can affect the heart and lungs, which can create life-threatening complications. It is caused by a mutation in the genes responsible for muscle structure, which interferes with the child’s ability to function. As the disease progresses, the level of disability becomes worse. Both boys and girls can be affected by muscular dystrophy, however some affect boys predominantly, such as Duchenne’s muscular dystrophy (DMD). Duchenne’s muscular dystrophy (DMD) is the most common type, and therefore will be the focus of the rest of this section. Duchenne’s is almost exclusively seen in boys, however girls are carries of the condition. The gene which results in DMD has been found on the X chromosome that the boy receives from his mother. If the mother is a carrier of this mutated gene, the son has a 50% chance of developing DMD. 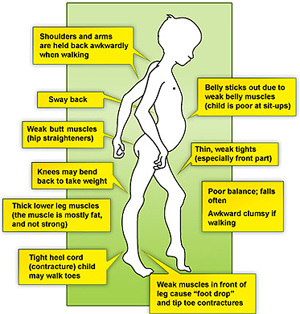 There are no abnormalities seen at birth and any symptoms usually begin when the child starts walking. Children with DMD generally have delayed motor milestones when compared with other children, for instance they begin walking around 18 months. These children also have difficulty sitting and standing independently. The disease becomes even more apparently between 4 and 5 years of age when the child is tripping and stumbling often and has trouble keeping up with other children. Weakness of the child’s calf muscles and the muscles back of the thigh early in the condition cause the child to stand with a more pronounced curve in their lower back. They do this in order to maintain balance as their center of gravity has shifted. This way of standing gives the child maximal support at both the hip and the knee. The child stands with their legs further apart to give themself a broader base of support. This contributes to the child developing an altered walking pattern referred to as a waddling gait. In this gait pattern, children walk on their toes with feet apart to help maintain balance, with an increased curve in the lower back. Contractures are a classic finding in DMD. It develops when tissues, such as muscle fibers, which are normally stretchy are replaced by hardened, non-stretchy tissue. They are seen as a major cause of disability. They prevent normal movement, and, for children with DMD, occur often in the legs, especially the calf and muscles around the hip. Gower’s Sign is a very common physical finding for boys with Duchenne’s. It involves using their hands to ‘climb’ up their legs in order to stand up. It is due to a weakness in the child’s hip muscles. Boys with DMD may also suffer from behavioural or mental deficits, but this is not always the case . Any such impairments are not progressive meaning they will not get worse over time. Delayed language milestones may be an early warning sign of DMD and the child may need to work with a speech and language therapist to overcome these difficulties. 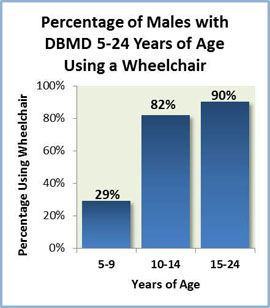 Between the ages of 6-11, there is a steady decline in muscle strength and by the age of 12 most children are wheelchair bound. There are further complications surrounding children being dependent on wheelchairs, such as scoliosis and respiratory problems. Sadly, there is no cure for Duchenne’s, but there are ways to help improve the individual’s quality of life and provide help for the stage they are in. Mobility aids will be given to help the child be as independent as possible. This can include a walker in the beginning phases and can progress to a motorized wheelchair. In-home hoists are useful for the carers when they need help to transfer the child. Standing frames also become useful when the child can no longer stand on their own. This helps the child gain the benefits of standing, such as increased bone density, and stretching the muscles even if the child cannot stand on their own. Knee-ankle-foot orthosis may be used as well. They have been found to prolong the child’s independent mobility. These should be used alongside the mobility aids, such as a zimmer frame . Below, you can find more information about the various equipment options available to you. Staying as active as possible is recommended. Bedrest can make the muscle weakening worse. Recommended physical activities and ways to help keep your child active will be discussed below. Steroids are commonly prescribed for children with DMD, and are the only palliative treatment. Steroids have been shown to increase the child’s muscle strength and their functional ability. Steroids may help delay the child becoming wheelchair dependent. However, there are side effects and you may wish to speak to your GP regarding steroid prescription. Another group of medications that has been shown to be helpful are Beta-Blockers. Heart and respiratory function slowly decline in these children and these drugs are used to help manage both these problems. Again, speak to your GP about these drugs and when they may need to be administered. Some families may consider surgery for their child. Common surgeries for Duchenne’s boys include foot surgery, insertion of a feeding tube and spinal surgeries to correct a scoliosis, which may occur from being wheelchair dependent. There are many facts to consider before surgery, such as the effect general anesthesia has on the cardiac and respiratory systems, which are already compromised in children with DMD. Families need to weigh the advantages of the surgery with the risk before making a decision. For example, evidence has been found that surgery to correct scoliosis has improved respiratory function, and it also improves the cosmetic appearance and comfort of the child , however depending on the child’s cardiac and respiratory function there may be concerns about how anesthesia will affect them. Physiotherapy is essential to the management of Duchenne’s. It is important to monitor the physical symptoms of the condition and physiotherapy can help keep the child active for as long as possible. Physiotherapists will work with the parents and carers and provide them with information and manual skills that will be helpful for the child. Contractures are one of the major side effects that a physiotherapist will address. They will do these through a stretching routine, which can also be taught to the parents. Physiotherapists will also be responsible for advising the parents on any orthoses, such as AFOs, and referring them with a paediatric orthotist. They will also help families choose what mobility aids and equipment the child might need. In the early stages of the condition, the physiotherapist will be involved in helping keep the child active. During later stages of the condition, the physiotherapist will help more with respiratory issues as well. Physiotherapists will monitor the child’s posture in sitting, lying and standing. They can inform the parents of ways to help the child sit, stand and lie in optimal positions using pillows or splints. A sleep system and night splints may be recommended for nighttime to help maintain the child’s posture over a long period of time. Many physiotherapists use the NorthStar Amulatory Assessment in order to objectively monitor the child’s progression. Initiated in 2003, it is a tool designed specifically for children with DMD and has the child perform up to 17 activities, including standing, head-raising, hopping and running. This assessment is used only for children who are still able to walk. It is standardized with each child given the same instructions and their ability given a score of 0-2. It is easy to administer and can be completed in approximately 10 minutes. These are useful when consulting with other medical practitioners and letting them know where the child is physically. It is important for children with Duchenne’s to remain active. Being physically active will contribute to the child’s health and feelings of well being, as well as helping the development of their sensory motor skills. Weight bearing will help improve bone density and strength, which is important for children with DMD as their bones tend to be osteoporotic. Inactivity is common in this population, not only due to the effects of the condition. The increased effort needed for any activity, the fear of falling and the use of mobility aids are also factors contributing in inactivity40. It is important to encourage activity, but not to the point of fatigue. In the early stage when the child is still walking independently, they need to be encouraged to participate in a variety of activities. Swimming and hydrotherapy are a great way for children to use and stretch their muscles without the influence of gravity. It also has a positive social aspect as it allows them to participate with other children in a way they are unable to on land. The warm water relaxes muscles, which helps when stretching. Bike riding, so long as they have the balance to stay on, is also beneficial for children with Duchenne’s. Like swimming, it allows the child to keep up with his friends and experience feeling like a normal child. In later stages, physical activity may be more limited, but is still important for the child to do what they can. Again, swimming and hydrotherapy is a good way for the child to get out of the wheelchair and be able to move. It also helps improve the ability of the lungs, which these individuals struggle with in the later stage. Biking outdoors may not be an option due to decreased balance and physical ability, but static recliner biking is still an option and allows the child to still be active within a supervised setting. The child’s ability to be active changes again when they become fully wheelchair dependent. They are still able to be active through hydrotherapy. It is important during this time to monitor respiratory function and equipment may be used to help improve lung function, such as intermittent positive pressure breathing and inceptive spirometry . A practical way to incorporate breathing activities into a daily routine is by encourage the child to play a wind instrument or join a singing group. For younger children, encouraging them to blow bubbles aids respiratory function. Along with all of these things, a stretching programme is very important in order to delay the development on contractures and must be done at all stages of the condition. Using weights to exercise should be avoided as this could lead to overworking the muscle and could cause further damage. This is the leading UK charity focusing on muscular dystrophy as well as related conditions. Founded in 1959, their purpose is to help families and children with muscular dystrophy by providing information, advice and emotional support for children and carers, raise awareness of the condition, award grants to help cover the costly equipment and provide educational resources for health professionals. Their aim is to raise money to fund research and finding a cure. This is a charity set up in 2001 by a couple whose child was diagnosed with DMD. It specifically focuses on Duchenne and Becker Muscular Dystrophies. They are working toward finding a cure for these conditions. They are partnering with other organizations to provide resources to improve the length and quality of life for those with Duchenne’s and Becker. This is a charity founded in 1989 which supports people affected by myotonic dystrophy. They have a central helpline and a network of contracts across the UK. It is a nonprofit health agency dedicated to finding treatments and cutes for muscular dystrophy, amotrophic lateral sclerosis (ALS) and other neuromuscular diseases. They fund research, provide health care services and support for families, and are involved in advocating for people affected by these conditions. A charity dedicated to treating and curing FSHD through basic, translational and clinical research. They work to empower scientists by granting assess to patients, resources and they funds they need. They encourage and support patients and families worldwide. A charity aimed at researching myotonic dystrophy and finding a cure for it. They also provide a support network for families and carers. This organization promotes the professional interests of genetic counselors and provides a network for professional communication. It provides education opportunities and discussions surrounding this area of research. Its vision is to integrate genetics and genomics to improve health for all. Charcot-Marie-Tooth disease (CMT) is known as a hereditary motor and sensory neuropathy (HMSN) and is the most common inherited neuromuscular disease with a prevalence of approximately 1 in every 2,500 . 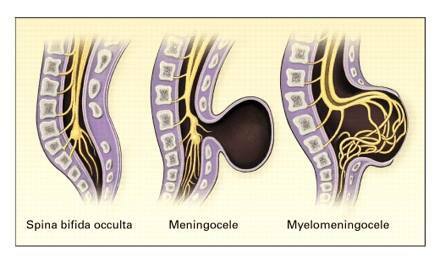 CMT involves the degeneration of nerve fibres in the body that results in muscle weakness and wasting along with a decrease in sensation . CMT is a slowly progressive disorder and it encompasses a large group of clinically and genetically heterogeneous disorders. CMT is caused by genetic mutations with approximately 1000 mutations in 80 genes that are related to the physical presentation of the disease. The diagnosis and classification of CMT is a very complicated process.The two main types are Type I which is known as demyelinating CMT (CMT1) and Type II which is known as axonal CMT (CMT2). CMT1A is the most common form of CMT and it is caused by a duplication of the 1.4 Mb region of chromosome 17 containing the peripheral myelin protein 22(PMP22) gene. More information regarding the specifics about the different gene mutations can be found here . Lower legs are very thin, while the thigh muscles are a normal shape and bulk, or size. CMT most often affects the distal limbs first, or those limbs further away from the body such as your arms and legs. However, the lower limbs are usually affected before the upper limbs. The muscles in the lower part of your leg, ankle, and foot begin to atrophy as the disease progresses. This means the amount of muscle in these areas will decrease. Atrophy in the more proximal parts of the limbs or the parts closer to the body such as your thighs and upper arms is rare and usually only occurs in those more severely affected. As noted above, this muscle weakness along with a decrease in sensation can cause a lot of problems with both walking without any aid as well as problems with balance . There is currently no cure or drug therapy for CMT. The main treatment options are rehabilitation therapy which will involve both a physiotherapist and an occupational therapist, and surgical treatment options. Surgical treatment is used for individuals with CMT with different skeletal deformities most often in their feet. Most individuals start out with flexible deformities in which the ankle begins to turn in, known as a cavovarus deformity. However, during the later stages of this disease, the deformity can become fixed. Treatment options are therefore, soft tissue surgeries, osteotomies or removal of bone, and joint fusions. These can either be performed on their own or as a combination of a few. Research indicating who is appropriate for surgery and when this would be optimal is not yet conclusive as more in-depth long-term studies must be completed. For the upper limbs, tendon transfers may be beneficial to improve the ability to oppose the thumb and assist with wrist extension. In addition, scoliosis, also known as a curvature of the spine, is prevalent in about 15-20% of individuals with CMT and if severe enough, may need surgical intervention. Physiotherapy is a key factor in your child’s management. It helps to improve the symptoms of CMT as well as decrease the risk of muscle contractures also known as the shortening of muscles. Physiotherapy for your child will most likely involve more low-impact exercises which would include posture and balance work, walking or swimming, and some strength training as well. Physiotherapy along with occupational therapy should be started at the onset of symptoms. Contact your GP to get information on local physiotherapists who are experienced in neurological conditions. Starting physiotherapy early on can be beneficial because muscle weakness and sensory loss will be at a minimum. The physiotherapist will work to form a treatment plan that will work best for each individual’s needs . The physiotherapist will also be involved in assessing for the need for any additional aids or equipment. Many people with CMT may require high-top shoes or boots in order to provide more stability to the ankles and prevent injury. Others may need braces known as ankle-foot-orthoses (AFOs) which act similar to a cast, but they are removable. An AFO is a plastic brace, custom made for each individual to provide the necessary support and prevent tripping as a result of foot-drop. If individuals have more muscle weakness proximally or higher up the leg, then knee-ankle-foot orthoses are available. The majority of individuals with CMT do not require to use of a wheelchair, however in later stages of the disease some may choose to use one when going longer distances to reduce fatigue and the amount of stress on joints. The physiotherapist will work in conjunction with the occupational therapist and help with referrals to a podiatrist to ensure that all necessary equipment has been provided . More information on different types of adaptive equipment can be found below. Hydrotherapy is a highly beneficial option as exercise for individuals with CMT. Essentially, it is just structured exercise lead by a physiotherapist that takes place in a pool. Hydrotherapy pools are not always easily accessible, but have many benefits especially for those individuals with CMT. Some of the benefits include reducing the amount of stress on joints due to the buoyancy of the water but still adds some light resistance to exercises in order to help maintain muscle strength. More Information on hydrotherapy can be found below. Exercise can also be carried out in a gym or at home. Walking, cycling, swimming and mild weight-training are all appropriate exercises that are safe to carry out with CMT. Overall, any type of general exercise will be beneficial for individuals with CMT. As long as that person is comfortable and working at low-moderate intensity, research shows that aerobic exercise can help to reduce fatigue, improve mood, and increase a person’s endurance. The goal is to help keep your child as independent as possible for as long as possible . However, it is important to avoid overworking and exhaustion. When carrying out any type of exercising, fatigue and weakness should not be caused within 30 minutes of exercises and neither should any form of excessive muscle soreness or cramping. These are things that are strongly discouraged when exercising with CMT. Stretching is also a key part of physiotherapy. As noted above, individuals with CMT are at risk for muscle contractures and stretching assists in maintaining muscle length. When this is done slowly and gently it can provide comfort for individuals and reduce stiffness in the joints. Physiologically. in a disease process such as CMT, where the progression of the condition is due to axonal and demyelinating factors in the peripheral nervous system, application of Proprioceptive Neuromuscular Facilitation (PNF) techniques with elastic or manual resistance, with low impact on the skeletal and muscular system could demonstrate improvement in the capacity of the muscle, without producing fatigue. Balance is an extremely important ability in order to carry out daily tasks. It involves gathering sensory input from the body and its surroundings in order to accurately orientate itself with gravity and the environment. With CMT, sensation may be altered which will affect a person’s ability to balance and ultimately completely normal activities of daily living. Tai Chi, Yoga, and Pilates are all very useful exercises for improving both balance and posture. CMT is a life long progressive condition. However, making a few lifestyle changes can be extremely beneficial and improve a child’s ability to remain as independent as possible. Attending physiotherapy and keeping active are two key components that can help manage symptoms of CMT as well as slow down their progression. It is also very important that individuals with CMT maintain a healthy weight. Additional weight will only cause more stress on the joints and can further limit a person’s mobility . It is also very beneficial to do some research on CMT. Find out more about it or what support groups are available. Many individuals with CMT and their families have found it comforting to talk and listen to other people going through the same things. CMT is such a variable disease that many have found it frustrating and even scary that the progression of CMT can be so unpredictable so talking and relating with others can help take away the feeling of isolation and going through the disease alone. When looking for support networks, keep in mind that CMT is a classification of Muscular Dystrophy so the Muscular Dystrophy Association may be a good resource to check out . Other support networks and resources can be found below. 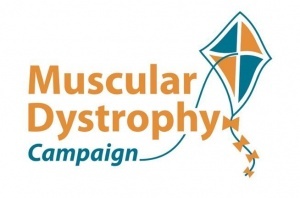 The Muscular Dystrophy Campaign is another great resource for support and more information in the UK. Mission Statement: “We are dedicated to improving the lives of people affected by muscular dystrophy and related neuromuscular conditions"
Spina Bifida occurs when there is a problem in the formation of the spine and spinal cord in the developing embryo. It is also known as “split spine” as this developmental fault creates a gap where the spinal column fails to close and protect the spinal cord and associated nerves. This can happen at any level of the spine but most commonly occurs in the lower back or lumbar region  The degree of spinal closure and the structures involved can vary in spina bifida and it can therefore be divided into 3 different types . Spina Bifida Occulta or Spina Bifida Aperta is the least severe form of spina bifida, where only the bony parts of the spine are affected. A small gap remains in the spine which is covered with skin. This can be identified after birth by a small area covered by a tuft of hair or an area of darker skin along the midline of the back. This form of spina bifida can go undetected as it is not associated with significant problems. It is also thought to be present in many healthy adults. This is the rarest form of spina bifida where the bones of the spine are affected along with the coverings of the spinal cord: the meninges. These can protrude through the gap in the spine to form a cyst, while the spinal cord and nerves remain in place within the spinal canal. Myelomeningocoele or Spina Bifida Cystica is the most severe form of spina bifida, affecting 1 in 1000 births in the UK. Again, there is absence of closure of the vertebrae, however, this causes leaking of the meninges as well as the spinal cord outside the gap in the spinal column. As a result, a portion of the spinal cord, along with the spinal nerves, protrudes through the gap forming a cyst or sac that lies outside the body. The exact cause of spina bifida is unknown but there may be associated genetic, environmental and dietary factors that can predispose development of the condition in certain individuals. The most commonly researched factor is the association of low levels of maternal folic acid. Folic acid is a vitamin present in many foods and is often added to breakfast cereals. It can also be found as a supplement in the pharmacy. It is thought to be involved in the development and formation of fetal cells and tissues, therefore, it is advised that folic acid should be taken daily in the upcoming months before conceiving and also during pregnancy . As spina bifida occurs due to problems with the developing spine and spinal cord, this can have an associated effect on development of the brain. Specifically areas of the brain involved in memory, learning, as well as concentration, understanding and the processing of language. Children may have difficulty with complex motor tasks such as tying laces where good visual and physical coordination is required . 6 out of 10 children born with spina bifida will have normal intelligence levels, although around half of these will have some form of learning disability . The spinal cord allows information to travel up and down to brain in order to control movements made by muscles and joints. As the spinal cord and nerves can be compromised in certain types of Spina Bifida, there are often problems with muscle control and joint movement. In some cases, there may be paralysis of certain muscles which can result in the development of misshapen bones, particularly the feet, and abnormal curving of the spine known as Scoliosis . Those with severe mobility restrictions may also develop thin bones or osteoporosis due to the lack of use of the limbs . As the infant gets older, management of incontinence will be an important role of the medical team. Effective management strategies include the use of Clean Intermittent Catheterisation (CIC) and certain drugs which can increase the storage volume of the bladder . Children can also develop constipation due to lack of bowel movements and will require development of a bowel programme which may involve assisted evacuation of stools. However, this will be based on an individualised assessment of the child and may involve educating the family in order to ensure the programme is effectively integrated into the child’s daily routine  Effective strategies in managing incontinence in children with spina bifida are extremely important in allowing them to socially integrate themselves as they get older and attend school . In the early stages following surgery, the physiotherapist will begin passive range of motion exercises on the infant’s legs . This will normally be performed 2-3 times a day. They will also demonstrate this technique to parents or carers so that they may continue to do these exercises as a home exercise programme when the infant is discharged. They may progress these exercises to mimic more functional movements which are related to normal everyday movement patterns. For example, whilst bending the left knee and hip, the right side will be kept straight as would happen in a normal walking pattern. These gentle exercises will help to maintain and may help increase the available range of motion available in joints where the movement restriction is mild. In those who have more pronounced restriction, the physiotherapist may advise that the number of exercise repetitions is increased and the movement is held for longer. The ultimate aim of range of motion exercises is to enable the child to learn and perform them independently as they grow up. It is important for the child to continue with these exercises because when they are moving independently, the functioning muscles may not be working through full range of motion. Passive range of motion exercises will therefore help to maintain flexibility and avoid the development of muscle tightenings known as contractures . Altered muscle tone is a common symptom of spina bifida therefore physiotherapists use resistance training in order to strengthen these muscles that have been weakened. This is normally introduced when the infant is old enough to self mobilise. The physiotherapist can develop a programme of strength and endurance training which has been seen to improve functional abilities in children with spina bifida . These training programmes may involve a variety of exercises for the upper and lower limbs, as well as muscles of the trunk and can help improve upper limb strength and cardiovascular fitness . Following the first few days after surgery, the infant will normally be placed in side or stomach lying. As the infant begins to stabilise and recover from surgery, the physiotherapist will offer advice as to how to hold the new born child safely. This is incredibly important as the infant will have undergone major surgery which requires careful handling and positioning at all times. It may be advised that parents or carers hold the child underneath the stomach and across their forearm due to the surgical wound that will be present on the infant’s back. This handling technique may be used when sitting or walking around. When advised, parents or carers may take the infant for a walk around the hospital resting over the shoulder. This can encourage the child to begin to lift his or her head and begin to develop head and neck control . Mobility problems in children with spina bifida can vary according to the level of the spine that has been affected during development . A child with a lesion in the lower back (Lumbar or Sacral levels), is more likely to be able to independently mobilise than one with a lesion in the upper thoracic spine. This can determine whether the child will require a wheelchair, orthotics or assistive devices . Parents and carers are often discouraged from using assistive devices such as infant walkers, jumpers and bouncer chairs as these can delay motor development. Infants require active movement and sensory information from the surrounding environment in order to learn how to move efficiently against gravity and maintain erect sitting and standing postures. This is no different for children with Spina Bifida. Infants with spina bifida benefit from movements that challenge control of the head, neck and torso, rather than the use of passive sitting devices or chairs. Active movement allows them participate in the learning process. For example, rather than using a walker, parents are advised to physically hold their child in the standing position with as little support as possible to promote the necessary control of the legs and torso. This also allows the child to receive feedback from the floor and the surrounding environment . As the child begins to mobilise and ambulate more independently, he or she may be fitted for braces or splints to address any deformities caused by muscle imbalance or joint limitations. Orthoses such as braces and splints, are supportive devices aimed at optimising existing muscle function and giving support where the child requires it. The earlier these are fitted and provided, the earlier the child will be prepared for the upright position required of standing and walking . It therefore also enhances normal developmental progression and will eventually help the child take part in normal activities of their age group . Children with Spina Bifida lesions in the upper thoracic regions of the spine may require bracing or splinting of the whole leg up to the level of the hip and chest. This is known as a Hip-Knee-Ankle-Foot Orthoses (HKAFO). Others may require orthotics aimed at stabilising the knee, ankle and foot. These are known as Knee-Ankle-Foot orthoses (KAFO) and Ankle-Foot Orthoses (AFO)  Reciprocal Gait Orthoses (RGO) may be also provided in order to promote a normal rhythmic walking pattern in the child  . Children may require the additional use of crutches along with orthoses in order to take some stress off the legs . and standing frames are also used to help children with more severe limitations bear weight through their legs and maintain full range of motion at all lower limb joints . Furthermore, some children may require casting as a way of treating and preventing contractures. Casting aims to develop a gradual increase in the range of motion available at a certain joint and is a very effective method of improving range of motion at tight joints without the use of surgery . Other children may benefit from the use of a wheelchair, as it can give them more freedom of movement if their walking is limited and strenuous. This can be alternated with the use of orthosis for shorter distances. A wheelchair can also help children keep pace with other able bodied people, and enable them to participate in recreational activities at school . In the infant with spina bifida it is important to observe their movement patterns in the home and to report any change in posture, balance or movement. As your child gets older, encouraging them to continue to perform their range of motion exercises will help to maintain their flexibility and avoid the development of contractures . Encouraging active and regular exercise participation in children with spina bifida is also extremely important, as they are at a greater risk of becoming overweight due to the fact they are unable to move as much as other children . As a result, children with spina bifida are more likely to develop high blood pressure as they get older and may be at a higher risk of developing other forms of cardiovascular disease such as stroke, coronary artery disease and kidney disease  . Children with spina bifida should be encouraged to take part in regular sporting or recreational activites that target cardiovascular fitness, muscle strengthening and coordination  . Not only will this have physical benefits, but it can also provide the child with social interaction and important life experiences. Activities designed for wheelchair users are becoming increasingly popular and include basketball and tennis . Swimming and aquatic physiotherapy are also extremely effective ways of encouraging activity in children with spina bifida. This can begin at young age with the use of flotation devices, and can help the child move with greater ease than when out with the water. This can make it very enjoyable for both the child and their parents or carers. Swimming also targets cardiovascular fitness and muscle strengthening of the legs, arms and torso through the resistance created as the child moves through the water . The physiotherapist can assist and give advice as to the level of activity a child may require and when it is appropriate to begin activities such as swimming. They may also work along side school staff involved in physical education to help identify activities that a child may particularly enjoy, or to discuss ways of modifying and adapting existing recreational activities that the school provides . Brachial Plexus Birth Palsy (BPBP) is also commonly known as Obstetric Brachial Plexus Injury (OBBI) and includes Erb’s Palsy, Klumpke’s Palsy and Erb-Klumpke Palsy. BPBP occurs through damage to the brachial plexus, a grouping of nerves in the shoulder, during birth. Common causes are believed to be shoulder dystocia, excessive or misdirected traction and hyperextension of the arms during birth. A recent study shows that it is impossible to predict BPBP. Nerves coming from the brachial plexus supply the muscles, skin and other tissue of the arm and shoulder. Injuries to the brachial plexus disrupt communication from the arm to the brain. This results in a loss or in altered sensation and loss of muscle function. It is common to see the arm of patients with BPBP to hold thir arm in close to their body with it turned inwards. This is sometimes described as the 'Policemans tip'. Birth Brachial Plexus Palsy occurs in between 1.6-2.9 per 1000 live births in developed countries (). The earlier the signs of recovery the better the prognosis. The return of the function of the Biceps muscle in the arm is a key indicator. 95% of infants born with BPBP recover complete function of their arm within 6-12 months while carrying out physiotherapy . However it is important to understand that each injury is different and that there is a possibility of a lasting disability with BPBP. Careful handling of the child is required and extremes of motion are to be avoided for the first 1 to 2 weeks to allow for the initial inflammatory response to the injury to calm. Place the affected arm into sleeves before the unaffected arm. This will help avoid extreme movement at the shoulder and will help make dressing quicker and easier. Maintain movement at the joints – Ensuring that the joints of the affected limb, especially the shoulder, keep their full range of movement and avoid excessive shortening of the muscles , also called a contracture. This will include passive, assisted and active exercises. Increasing the strength of muscles in the affected limb. Increasing the child’s awareness of the arm through tactile touch and contact. Teaching parents, carers and the child how to handle the affected limb and how to position it for both comfort, prevention of complications and practicality. The use of Constraint Induced Movement Therapy (CIMT) and bimanual/bilateral therapy are sometimes also considered by Physiotherapists. Surgical intervention is a possible treatment option and will be considered by the medical team after appropriate assessment. Surgery is only considered when conservative treatment (such as physiotherapy) is deemed unsuitable. This may be just after birth, as the severity of the BPBP injury requires a surgical intervention, or it maybe later in your child’s development. Surgery for BPBP can involve nerve transplants or tendon transfer of functioning muscles. If the medical team believe that surgery would be the best option for your child they will discuss this with you in-depth. The team will look to provide you with all the information possible on why they believe surgery is the right option, what it will involve and what the potential risks are. You and your child should be central to the decision making process and you should seek to discuss all your concerns/queries with the team providing healthcare to you and your child. The best approach is to stay pro-active! Encourage your child to use their affected arm and to carry out exercise as much as possible. Stick to the Home Exercise Programme and look incorporate exercises and activities focusing on the use of your childs affected arm as much as possible. It is important not to let the diagnosis of BPBP impact on your child’s quality of life. Children need to be active and research shows that they should be enjoying regular exercise shouldn’t be inactive for long periods of times. An active lifestyle has many benefits for individuals no matter what their age! See our Keeping Active section and the NHS physical activity guidelines for children for more information. Many children show a complete recovery, but for those unfortunate not to recover fully, it is important to focus on helping your child to adapt to tasks and work on different strategies to complete activities in their daily life. Dina Shafer, who also has a lasting disability affecting her right arm due to BPBP, has a Youtube channel showing how she carries out her activities of daily living such as driving her car and curling her hair as well as how she exercises at the gym where her workouts involve a range of different exercises from deadlifts to martial arts training. A number of individuals diagnosed with BPBP went on to have successful careers in their chosen field, Martin Sheen was diagnosed with BPBP as was Adrain Clayborn, an American Football player who was drafted 20th overall in the 2011 Draft by the Tampa Bay Buccaneers. There are also other inspiring individuals out there, including Emily Langridge, a young woman with BPBP who created a documentary following families, adults and children with the condition. You can watch the film on the website of the Brachial Plexus Palsy Project. The Erb's Palys Group is a UK based organisation providing information and advice to families affected by BPBP. "Our aim is to increase awareness and understanding of this condition "
Giving support to parents, adults and children. Putting parents in contact with each other. Help with obtaining medical information. Advice on benefits and aids for the children. Holding annual events for families. Providing information on treatments available. Holding annual education days for professionals. The United Brachial Plexus Network (UBPN) is a non-profit organization devoted to providing information, support and leadership for families and those concerned with brachial plexus injuries worldwide. The United Brachial Plexus Network strives to inform, support, and unite families and those concerned with brachial plexus injuries and their prevention worldwide. 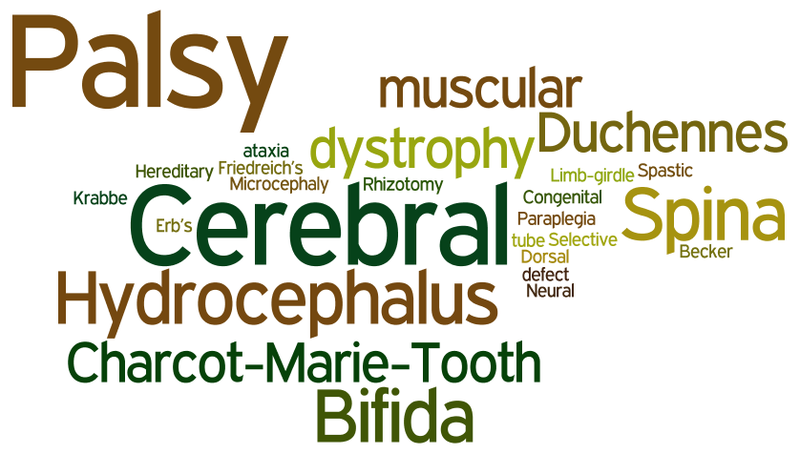 Microcephaly is a disorder which is present from birth or could develop within the first 2 years of life. It consists of an infant’s skull and brain not growing adequately and being greatly smaller than the average size of other baby’s heads of the same age and gender. Babies head circumference measurement indicates whether or not your baby’s brain is growing as it should be. The condition may be caused by genetic (hereditary) abnormalities or from foetal exposure to drugs, alcohol, maternal diabetes, certain viruses, or toxins during pregnancy, which can lead to damage to the developing brain,. Acquired microcephaly could occur after birth if the baby’s infection is present or the brain becomes starved of oxygen. Some children may have normal intellect and the head that will grow bigger, however they will still grow below the normal head circumference. Microcephaly is a lifetime condition and some symptoms might become more obvious as the child ages and grows. Physiotherapy management focuses on early childhood intervention programs that may help your child optimise their functional ability via promoting normal development, specific exercises, and provides support to the child as well as their families. This carries on through the child’s adulthood to aid the improvement of quality of life, confidence and to integrate normally at home and in the community. The child’s self-esteem should be strengthened via positive reinforcement to promote as much independence as possible. Furthermore, medications can often be used to manage hyperactivity, control seizures and neuromuscular symptoms. The use of genetic counselling may be appropriate for families understand future risk for microcephaly in later pregnancies. When you find out your child has microcephaly, you might experience emotions, such as anger, worry, and guilt. You may worry about your child’s future and not know what to expect. However, the best way to reduce these emotions is to gain more information and support by finding a team of trusted professionals. There will be important decisions about your child's education and treatment that you will need to make. The first thing to do is to seek a team of doctors, therapists, and teachers you trust, who can help evaluate the resources in your area and introduce you to programs for children with disabilities. It may be useful to find other families who are coping with the same issues. There may also be community support groups for parents as well as online support groups. The Microcephaly Support Group (MSG) is the national organisation in the UK, which provides support and contact between families with first-hand experience of microcephaly. MSG aims to provide information and support to families who have a child recently diagnosed with microcephaly and to provide this on an ongoing basis. They offer the chance to link with other families who are in a similar situation. MSG also gather information and support professionals in their research, along with connecting members through a regular, informative newsletter. Click on this link to enter their website for more information - http://www.microcephaly.co.uk/index.html. Hydrocephalus is an abnormal build-up of fluid within and around the brain, which can due to excess fluid production, obstruction to its flow, and inadequate absorption If left untreated, the excess fluid can cause increase the pressure put on the skull and brain, which can be damaging. There are two different types of hydrocephalus, which can affect children, these are congenital and acquired. Congenital hydrocephalus is present from birth and can be caused when a baby is born prematurely (prior to week 37 of pregnancy). Premature birth can lead to bleeding in the infant’s brain, which could blow the flow of fluid in the brain, leading to enlargement of the brain and skull. It is also known to develop when babies are born with other serious health conditions, such as spina bifida. Furthermore, it can also be caused via the change of a genetic material known as X chromosome, as well as rare genetic disorders (e.g. Danny Walker malformation), and arachnoid cysts, which are fluid filled sacs found between the spinal cord or the brain, and the arachnoid membrane (one of three membranes surrounding the spinal cord and brain). However, in many cases the cause of congenital hydrocephalus is unknown. Acquired hydrocephalus develops in adults or children and usually develops following illness or injury. If the condition progresses, the headaches might become continuous and if left untreated, hydrocephalus can be life-threatening. It is possible that acquired hydrocephalus could be caused in several possible ways, such as bleeding inside the brain (subarachnoid haemorrhage), blood clots inside the blood vessels of the brain (venous thrombosis), an infection of the protective membranes surrounding the spinal cord and the brain (meningitis), brain tumours, head injury, or stroke. Furthermore, it is also possible for a baby to be born with narrowed brain passageways, which restrict brain fluid flow, but no symptoms are caused until several years later. Babies born or children who have developed with hydrocephalus usually require swift treatment to reduce the pressure on their brain. If the condition is not treated, the increase in pressure will damage the brain. Both congenital and acquired hydrocephalus can be treated with shunt surgery or neuroendoscopy. Shunt surgery consists of inserting a thin tube (a shunt) in the brain, which is used to remove excess fluid from the brain. The fluid passes through the shunt to a different body part, usually the abdomen (the belly) area, and is then absorbed into the blood stream. The shunt has a valve for the control fluid flow and to make sure it drains gradually and not too quickly. You are able to feel the valve as a lump under the skin of the scalp,. Shunt surgery is carried out by a specialist in surgery of the brain and nervous system (neurosurgeon). A general anaesthetic will be given before the operation so that the child will be asleep throughout the procedure, which usually takes between one to two hours. After the operation, a child will need to stay in the hospital for a few days to recover. Once the shunt has been fitted, there is a risk that there could be shunt malfunction, such as blockage or infection of the shunt, leading to the need for essential additional treatment,. Some symptoms of shunt malfunction are headaches, sickness, confusion, drowsiness, redness, increased temperature, neck stiffness, abdominal pain, and irritability. ETV involves creating a hole in the bottom of the brain, which allows trapped fluid to discharge to the surface of the brain where it can then be absorbed. However, an ETV is not suitable for everyone, but it may be a possible treatment option if the excess fluid in the brain is resulting from a blockage, known as obstructive hydrocephalus. The fluid will then be able to drain out via the hole and avoiding any blockage from occurring. A general anaesthetic is given prior the operation and the neurosurgeon will then create a small hole the skull of the child and use a small camera device (endoscope) to look inside brain chambers. A small hole will then be created inside the brain with the help of the endoscope. This procedure will take approximately one hour,. Regardless of the different surgical management, children with hydrocephalus still have some disabilities. Therefore, early involvement with physiotherapists via different methods of rehabilitation is essential, whether surgical or non-surgical management is required. Additionally, successful shunting is usually related to more obvious and rapid improvements in rehabilitation efforts. Specific treatment procedures are numerous, functional training for activities of daily living; therapeutic exercise; manual techniques such as mobilization and stretching; and therapeutic modalities. Physiotherapy goals are aimed at improving functional skills and reducing secondary impairment, such as obesity, contractures, and fractures, which could delay developmental skills. Furthermore, physiotherapists can work with children in their home and in the hospital or clinic, depending on their medical conditions and age. Motor control (co-ordination of muscles and limbs), learning theories, and development are factors that contribute to occurrence of motor behaviour (how the muscles and limbs react to movement, control, development, and learning). These factors include not only the central nervous system (brain and spinal cord) as the driving force, but also biomechanical (human movement principles), psychological, social, and environmental components. Teaching and practicing skills under these theories is task-oriented (specific to everyday movements e.g. sitting to standing), which should be intermittent and repetitive. A high level of learning occurs via a child’s problem solving instead of by the therapist's hands on facilitation. It is also important that emphasis is placed on family centred care and treatment in natural environments. The mutual goal is usually to increase functional activity, which in turn, decreases disability. Many children with hydrocephalus live with fewer limitations with the aid of educational interventions and rehabilitative therapies. There are a lot of resources accessible to provide parents emotional and medical support. Children with hydrocephalus that have developmental difficulties could be eligible for government funded health care as well as further support services. You should check with your doctor or local social service agency. It is possible to gain practical and emotional support from hospitals and voluntary organizations helping people with disabilities, as are doctors and nurses. Ask these resources to assist you in connecting with other families who are also coping with children who have hydrocephalus. Shine (Spina bifida, Hydrocephalus, Information, Networking, and Equality) is an organisation in the UK that has a leading role in providing support. It offers information and practical advice to families who have a child with a disability (including hydrocephalus). The child may feel very isolated sometimes and Shine can provide contact with other families through national and regional offices and local associations. They provide access to information on all aspects of care and management and their staff and specialist advisers will give personal support and advise whenever possible. Shine’s services are available to parents, schools, and local authorities. Click on this link to enter their website for more information - http://www.shinecharity.org.uk/hydrocephalus/support. It is still important to follow certain exercise guidelines, whether your child has a medical condition and/or disability. Children should take part in a variety of activities at moderate to vigorous intensity for at least 60 minutes per day, including weight-bearing activity at least twice weekly. This will provide high physical stresses, which will increase muscle strength, bone health, and flexibility. It is also possible to break down this 60 minute into short, 10-minute sessions and still achieve the same gains. Moderate intensity physical activity heightens heart and breathing rates to a level the child feels warmer, the pulse can be felt, and may sweat when indoors or on a hot or humid day. Vigorous activity will result in a child being out of breath and/or sweating. Participation in moderate to vigorous activity can range from sport, formal exercise, and other physically demanding exercise (e.g. dancing and swimming) to active play. Activities of daily living, such as walking, climbing stairs and cycling can also give your child some of the 60 minutes of physical activity required. Health practitioners, local authority, and physical activity professionals can make parents and carers aware of the benefits of undertaking 60 minutes of moderate to vigorous physical activity a day. Parents should engage with their children whilst taking part in activity, by either encouraging their child and/or getting involved in activities with the child. This can be achieved by acting as a role model and encourage completing local journeys via physically active modes of travel (e.g. walking and cycling). If these guidelines are met by children, they are at reduced risk of chronic conditions (e.g. obesity) and their general health and wellbeing will be improved. While staying active is extremely beneficial for young people and adults alike, it is important to remember that a disability should not prevent people from being and staying active and talented individuals should be encouraged to preform to the highest level if that is something they wish to do! The following section provides some information on sporting opportunities for individuals with disabilities in the UK. More information on the details of each sport can be found on the website of the Paralympic Movement and also in sport specific fact sheets created by the Scottish Disability Sport , the governing body for sports for people of all ages and abilities with a physical, sensory or learning disability. There are a number of different organisations who are involved in disability spot throughout the UK. The British Paralympic Association are responsible for selecting, preparing, funding and managing the athletes representing Great Britain and Northern Ireland in the Paralympics. ParalympicsGB has been extremely successful, coming in top of three of the last four summer games and maintain success on the field, in a range of different sports as one of their main priorities. The association believes that developing and showcasing the Paralympics will help shift perceptions of disability sport and disabled people across the globe. with regard to performance on the field of play, support for athletes, advocacy and influence, promotion of disability sport and development of opportunities and participation at a grassroots level. The next games are in Rio De Janeiro in 2016! The games have been held in the same venue since Seoul 1988. A formal co-operation agreement between the two Games was signed in 2000. The first Paralympic Games were held in Rome, Italy in 1960, featuring 400 athletes from 23 countries, competing in 13 sports. The London 2012 Paralympic Games featured more than 4250 athletes from 164 countries taking part in 20 different sports! The vision of the IPC, founded as a non-profit organisation in 1989, is “To enable Paralympic athletes to achieve sporting excellence and inspire and excite the world” with its core values outlined as Courage, Determination, Inspiration and Equality. The IPC developed the Paralympic Games to showcase the achievements of athletes with impairments to a global audience in order to change societal perceptions and create lasting legacies. Are you looking to find a sport? Are you looking to find a club? The Deloitte Parasport website is designed to help signpost people towards opportunities to participate in high quality disability sport! The website is easy to use and will allow you to find clubs and sports in your local area with ease. Have a look yourself! Get Set is the official youth engagement programme of the British Paralympic Association and the British Olympic Association. 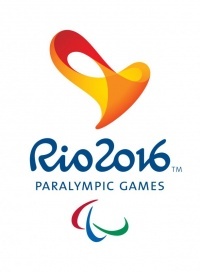 The programme is aimed at inspiring and developing learning opportunities around the Paralympic and Olympic games. Get Set has resources such as lesson ideas, whole school activities, assemblies and athlete stories, films and images that can be used to engage young people. The programme also will be encouraging young people to complete challenges related to the Paralympic and Olympic games and will be challenging them to ‘travel’ the distance to Rio De Janeiro with their Road To Rio resources! There are many schools across the UK which specialize in teaching and caring for children with neurological conditions. Most provide nursing care and they have experiences targeted to their developmental level. Both boarding and day schools are available. The following are websites that you can use to browse and find one that might be suitable for your child. This website is specifically for children in Scotland. They promote choice, diversity and excellence in Scottish education. They not only provide information and guidance to parents, but also advise schools about educational developments and legislation and liaise with Scottish Parliament on behalf of the students, families and schools. This looks at schools across the UK and you can search for a school that specializes in your child’s specific issue. This site also has links to support groups for a number of conditions. This website allows parents to select specific criteria and search for schools that meet their needs. Hospice Centers provide palliative care for children and are a support for families and carers. They provide nursing care and are available for both end of life care and as a resource when families needing a little extra help. Together for short lives (http://www.togetherforshortlives.org.uk) is the leading UK charity for children with life-threatening and life-limiting conditions. They work to support children and families and provide them with further resources. They are very active in raising money for children’s hospices. A list of these hospices can be found on their website. The Children’s Hospice Association Scotland (http://www.chas.org.uk) is a website which provides information specifically on the two Scotland hospices, Robin House and Rachel House. Both provide accommodation for whole families and can provide accommodation for up to 8 families at one time. Both sites have expert care on site 24/7 and can give the families a change to relax. They also provide home care for those families living in more remote areas of Scotland who live too far to come to hospice. With the CHAS at home programme they are able to provide care to children and families all across Scotland. Long-term neurological conditions can cause a lot of stress on both the individual with the disease as well as their families and carers. This includes stress related to finances. Depending on the condition and its severity, different levels of support may be required. Adaptive equipment, carers, transportation, and medications are all things that can add to financial hardship. Fortunately, there are many organisations and resources that can assist families and individuals get the support they need. There is lots of physiotherapy equipment available to support children with Neurological conditions. Mobility and standing aids- this equipment is designed to assist with walking or getting around. This may include walkers, crutches and wheelchairs. Postural management – mostly seating and sleeping equipment which helps to keep children in good posture and positions to help prevent discomfort, contractures and deformities. Equipment for house and home – this equipment is designed to help getting around during daily living activities such as getting out of bed. It can may include grab rails, hoists and transfer aids. Play and development – children learn through play and there are lots of adapted toys which can help develop children’s skills and abilities whilst having fun. Orthotics and splints – These are braces worn mostly on the arms and legs. They can help prevent deformities, improve walking and control and relieve pressure. They can be functional or accommodative. There is lots more specialised equipment to help support children allowing them to be as independent as possible. These include: clothing, devices for eating and drinking, bathing and personal care and adapted vehicles. Normally an occupational therapist will assess and provide this type of equipment. Physiotherapists and occupational therapists often work together when deciding on what equipment may be best for a child. Equipment can be expensive but there is help out there. Grants available from the government as well as charities. The NHS does give certain equipment out for free but this may be limited. The financial support section provides more in-depth information about this. Here are a couple of websites which sell equipment for children. ↑ DAMIANO, D.L. (2006) Activity, Activity, Activity: Rethinking our Physical Therapy Approach to Cerebral Palsy. Physical Therapy, 86 (11).p. 1534-1540. ↑ 14.0 14.1 14.2 14.3 14.4 14.5 TECKLIN, J.S., 2006. Pediatric physical therapy / [editied by] Jan S. Tecklin. Philadelphia : Lippincott Williams and Wilkins, 2008; 4th ed. ↑ EDWARDS, J.H., 1986. The population genetics of Duchenne: natural and artificial selection in Duchenne muscular dystrophy. Journal of Medical Genetics. Dec, vol. 23, no. 6, pp. 521-530. ↑ 28.0 28.1 HYDE, S.A., FLØYTRUP, I., GLENT, S., KROKSMARK, A., SALLING, B., STEFFENSEN, B.F., WERLAUFF, U. and ERLANDSEN, M., 2000. A randomized comparative study of two methods for controlling Tendo Achilles contracture in Duchenne muscular dystrophy. Neuromuscular Disorders. , vol. 10, no. 4, pp. 257-263. ↑ 29.0 29.1 29.2 WALLACE, G.B. and NEWTON, R.W., 1989. Gowers' sign revisited. Archives of Disease in Childhood. Sep, vol. 64, no. 9, pp. 1317-1319. ↑ 31.0 31.1 CYRULNIK, S.E., FEE, R.J., DE VIVO, D.C., GOLDSTEIN, E. and HINTON, V.J., 2007. Delayed developmental language milestones in children with Duchenne’s muscular dystrophy. The Journal of Pediatrics. , vol. 150, no. 5, pp. 474-478. ↑ LORD, J., BEHRMAN, B., VARZOS, N., COOPER, D., LIEBERMAN, J.S. and FOWLER, W.M., 1990. Scoliosis associated with Duchenne muscular dystrophy. Archives of Physical Medicine and Rehabilitation. Jan, vol. 71, no. 1, pp. 13-17. ↑ GARRALDA, M.E., MUNTONI, F., CUNNIFF, A. and CANEJA, A.D., 2006. Knee–ankle–foot orthosis in children with duchenne muscular dystrophy: User views and adjustment. European Journal of Paediatric Neurology. , vol. 10, no. 4, pp. 186-191. ↑ MUNTONI, F., FISHER, I., MORGAN, J.E. and ABRAHAM, D., 2002. Steroids in Duchenne muscular dystrophy: from clinical trials to genomic research. Neuromuscular Disorders. , vol. 12, pp. S162-S165. ↑ 38.0 38.1 ANGELINI, C. and PETERLE, E., 2012. Old and new therapeutic developments in steroid treatment in Duchenne muscular dystrophy. Acta Myologica : Myopathies and Cardiomyopathies : Official Journal of the Mediterranean Society of Myology / Edited by the Gaetano Conte Academy for the Study of Striated Muscle Diseases. May, vol. 31, no. 1, pp. 9-15. ↑ OGATA, H., ISHIKAWA, Y., ISHIKAWA, Y. and MINAMI, R., 2009. Beneficial effects of beta-blockers and angiotensin-converting enzyme inhibitors in Duchenne muscular dystrophy. Journal of Cardiology. , vol. 53, no. 1, pp. 72-78. ↑ MATSUMURA, T., 2014. Beta-blockers in Children with Duchenne Cardiomyopathy. Reviews on Recent Clinical Trials. , vol. 9, no. 2, pp. 76-81. ↑ SETHNA, N.F., ROCKOFF, M.A., WORTHEN, H.M. and ROSNOW, J.M., 1988. Anesthesia-related complications in children with Duchenne muscular dystrophy. Anesthesiology. , vol. 68, no. 3, pp. 462-464. ↑ GALASKO, C.S., 1993. Medical management of Duchenne muscular dystrophy. BMJ (Clinical Research Ed.). Mar 27, vol. 306, no. 6881, pp. 859. ↑ BUSHBY, K., FINKEL, R., BIRNKRANT, D.J., CASE, L.E., CLEMENS, P.R., CRIPE, L., KAUL, A., KINNETT, K., MCDONALD, C. and PANDYA, S., 2010. Diagnosis and management of Duchenne muscular dystrophy, part 2: implementation of multidisciplinary care. The Lancet Neurology. , vol. 9, no. 2, pp. 177-189. ↑ 48.0 48.1 MAZZONE, E., MESSINA, S., VASCO, G., MAIN, M., EAGLE, M., D’AMICO, A., DOGLIO, L., POLITANO, L., CAVALLARO, F. and FROSINI, S., 2009. Reliability of the North Star Ambulatory Assessment in a multicentric setting. Neuromuscular Disorders. , vol. 19, no. 7, pp. 458-461. ↑ 50.0 50.1 JANSEN, M., DE GROOT, I.J., VAN ALFEN, N. and GEURTS, A.C., 2010. Physical training in boys with Duchenne Muscular Dystrophy: the protocol of the No Use is Disuse study. BMC Pediatrics. Aug 6, vol. 10, pp. 55-2431-10-55. ↑ WONG, B.L. Management of the child with weakness Anonymous Seminars in pediatric neurology, 2006. ↑ 56.0 56.1 56.2 56.3 PAREYSON, D. and MARCHESI, C., 2009. Diagnosis, natural history, and management of Charcot-Marie-Tooth disease. Lancet Neural. vol. 8, pp. 654-657. ↑ 57.0 57.1 LAFARGE, C., TALSANIA, K., TOWNSHEND, J. and FOX, P. 2014. Living with Charcot-Marie-Tooth Disease: a qualitative analysis. British Journal of Neuroscience Nursing. October/November, vol. 10, no. 5, pp. 226-235. ↑ THOMAS, F.P., GUERGUELTCHEVA, V., GONDIM, F. and JORDANOVA, A., 2014.Charcot-Marie-Tooth Diseases. In: B. Katirji ed. Neuromuscular Disorders in Clinical Practice.New York: Springer Science + Business, pp. 519-547. ↑ 65.0 65.1 GRANDIS, M. and SHY, M. 2005. Current Therapy for Charcot-Marie-Tooth Disease. Current Treatment Options in Neurology. vol. 7, no. 1, pp. 23-31. ↑ NARDONE, A., GODI, M., ARTUSO, A. and SCHIEPATTI, M. 2010. Balance Rehabilitation by Moving Platform and Exercises in Patients with Neuropathy or Vestibular Deficit. Archives of Physical Medicine and Rehabilitation. vol. 91, pp. 1869-1877. ↑ Poutney, D., 2009. 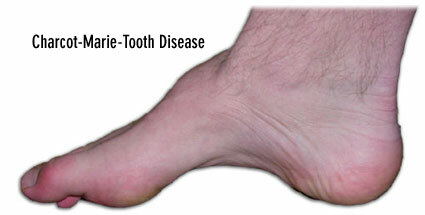 Identifying and managing Charcot-Marie-Tooth disease. British Journal of Neuroscience Nursing. vol. 5, no. 6, pp. 270-273. ↑ 69.0 69.1 69.2 69.3 69.4 SANDLER., A.D., 2010. Children with Spina Bifida: Key Clinical Issues. Pediatr Clin N Am. Vol. 57, pp. 879-892. ↑ RAY, J.G., MEIER, C., VERLEULEN, M.J., BOSS, S., WYATT, P.R. & COLE, D.E.C., 2002. Association of neural tube defects and folic acid food fortification in Canada. Lancet. Vol. 360 (9350), pp. 2047-2048. ↑ BARF, H.A., VERHOEF, M., JENNEKENS-SCHINKEL, A., POST, M.W.M., GOOSHKENS, R.H.J.M. & PREVE, A.J.H., 2003. Cognitive status of young adults with spina bifida. Dev Med Child Neurol. Vol. 45, pp. 813-20. ↑ LAPIDES, J., DIOKNO, A.C., SILBER, S.J., ET AL 1972. Clean, intermittent self-catheterisation in the treatment of urinary tract disease. J Urol. Vol. 107, pp. 458-61. ↑ 82.0 82.1 CUDDEFORD, T.J., FREELING, R.P., THOMAS, S.S., AIONA, M.D., REX, D., SIROLLI, H. & ELLIOT, J., 1997. Energy consumption in children with myelomeningocoele: a comparison between reciprocating gait orthosis and hip-knee-ankle-foot orthosis ambulators. Developmental Medicine & Child Neurology. Vol. 39, pp. 239-242. ↑ YNGVE, D.A., DOUG, A.S.R. & ROBERTS, J.M., 1986. The reciprocating gait orthosis in myelomeningocoele. Journal of Pediatric Orthopaedics. Vol. 4, pp. 304-310. ↑ BUFFART, L.M., VAN DEN BERG-EMONS, R.J.G., VAN WIJLEN-HEMPEL, M.S., STAM, H.J. & ROEBROECK, M.E., 2008. Health related physical fitness of adolescents and young adults with myelomeningocoele. European Journal of Applied Physiology. Vol. 103, pp. 181-188. ↑ STEPANCZUK, B.C., DICIANNO, B.E. & WEBB, T.S., 2014. Young adults with spina bifida may have higher occurrence of prehypertension and hypertension. Am J Phys Med Rehabil. Vol 93 (3), pp. 200-206. ↑ PONDAAG, W., MALESSY, M.J.A., VAN DIJK, J.G. and THOMEER, R.T.W.M., 2004. Natural history of obstetric brachial plexus palsy: a systematic review. Developmental Medicine & Child Neurology. Vol. 46, no. 2, pp. 138-144. ↑ 99.0 99.1 99.2 SHEPHERD, R.B., 1995. Physiotherapy in Paediatrics. 3rd ed. Oxford: Butterworth Heinemann. ↑ SOCCI, D.J., BJUGSTAD, K.B., JONES, H.C., PATTISAPU, J.V. and ARENDASH, G.W., 1999. Evidence that oxidative stress is associated with the pathophysiology of inherited hydrocephalus in the h-tx rat model. Experimental Neurology. January, vol. 155, no. 1, pp. 109–117. ↑ 106.0 106.1 106.2 SCHRANDER-STUMPEL, C. and FRYNS, J.P, 1998. Congenital hydrocephalus: Nosology and guidelines for clinical approach and genetic counselling, European Journal of Paediatrics. May, vol. 157, no. 5, pp. 355-362. ↑ BONTKE, C.F., ZASLER, N.D. and BOAKE, C. 1996. Rehabilitation of the head-injured patient. New York, NY: McGraw-Hill.